Arizona State Parks & Trails was honored to attend the January 11th ribbon-cutting to open one of the states newest ADA accessible trails. Through a Recreational Trail Program grant, the City of Buckeye installed new interpretive panels, maps and created a 2/3-mile accessible trail that connects to the Sienna Hills residential community. The event hosted local leaders, visitors and several rescued hawks were released back into the wild. The Skyline Regional Park offers 16 miles of trails for use by hikers, mountain bikers, and equestrians. The trail system is designed to provide an experience that meets the needs of each user, while also assuring a safe trail experience for all. Trails are of varying lengths and difficulty levels, allowing for a variety of use. Trails are located to synchronize and blend with their environments, promote sustainability and safety, with minimal impact on ecosystems and cultural features, and frame the natural beauty of their surroundings. With the exception of select Summit Trails in challenging terrain, all trails are shared use for hikers, mountain bikers and equestrians. 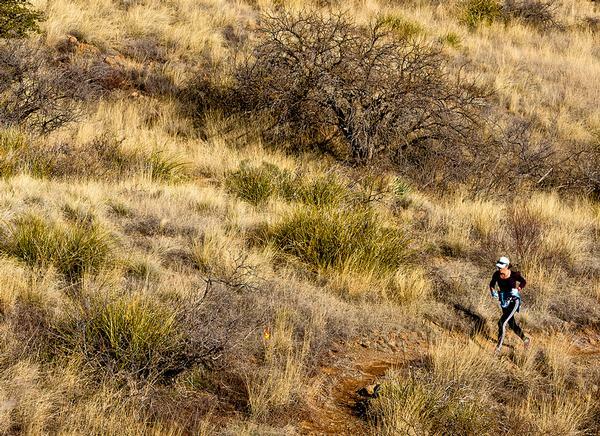 Future plans for the trail system include an accessible trail and eventual connections to Skyline Regional Park’s neighbor to the north – Maricopa County’s White Tank Mountain Regional Park as well as to the adjacent communities. Thanks to the support of the Arizona State Committee on Trails (ASCOT) and volunteers, we’re bringing even more premier trails to the system for everyone to enjoy! 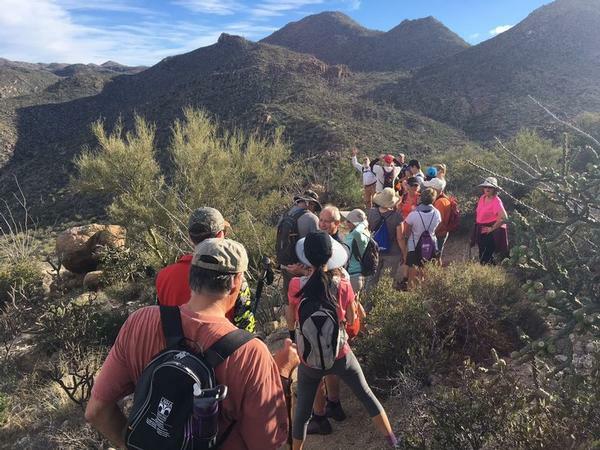 Since the inception of this program in 2017, we have received many nominations for Arizona Premier Trails System (APTS) status, and currently nine have been voted into the system. Land managers/Interested Parties, click here to submit an application for a deserving trail. The 11,300 acre Cerbat Foothills Recreation Area (CFRA) run by a collaboration between federal, state, county, and city land managers. The Cerbat Foothills offer the closest mountainous terrain to the City of Kingman just a mile from downtown. Bikers and ambitious hikers may start their adventures directly from town, or instead can drive to four trailhead access points on either side of Coyote Pass. Six varied trails, totaling over 36 miles in length, can be combined for short loops or full day hikes and serve up panoramic views of northwest Arizona and showcase unique rock pillars and buttes in the Monolith Gardens. While lacking shade and considerably hot in the summer, hikers, bikers, and equestrians can enjoy being immersed in a thriving ecosystem of native plants typifying the Mojave Desert. Location: Statewide- Coronado National Memorial on the Mexican Border to the Vermillion Cliffs National Monument on the Utah Border. 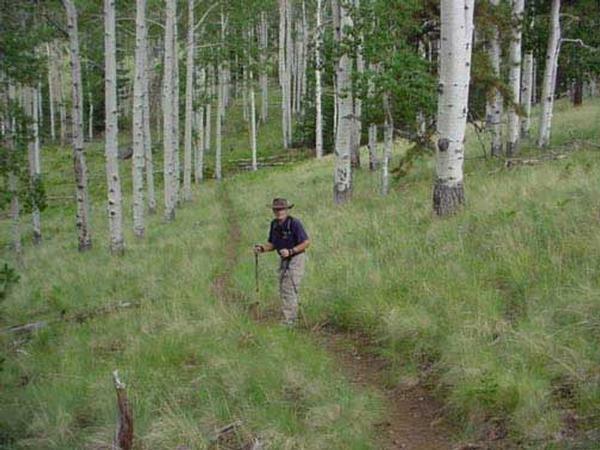 The Arizona National Scenic Trail (AZT) was initially envisioned by Dale Shewalter in the mid 1980's. While he was working as a Flagstaff schoolteacher, Shewalter walked from Nogales to the Utah state line to explore the feasibility of a trail traversing Arizona and began to promote his vision. After twenty-five years of work, time, money, and partnership we have a trail that has become one of the premier long distance trails in the country. The Arizona National Scenic Trail (AZT) stretches 800 miles across the entire length of the state to connect deserts, mountains, forests, canyons, wilderness, history, and communities. This non-motorized trail showcases Arizona's diverse vegetation, wildlife, and scenery, as well as unique historic and cultural sites. The route provides unparalleled opportunities for hikers, mountain bikers, equestrians, and other trail users. Starting at the U.S.-Mexico border, the path climbs and descends from one "sky island" mountain range to another, gaining and losing thousands of feet in elevation and traversing biomes ranging from desert to boreal forest. Continuing across the Sonoran Desert, the route crosses the Gila River, winds through the Superstition Mountains and the Mazatzal Wilderness on its way to the Mogollon Rim and majestic San Francisco Peaks. The trail north takes travelers across the Grand Canyon through billions of years of geology. Topping out on the North Rim, conifer forests dominate the Kaibab Plateau, eventually giving way to red bluffs dotted with sagebrush as the trail nears the Utah border on the edge of the Vermilion Cliffs National Monument. Along the way, the AZT junctions with over 100 other trails, becoming the backbone of Arizona in massive trail network. CLICK HERE for more information about this trail. Location: Chiricahua National Monument, 50 miles southeast of Willcox Ariz.
Up and down through tight canyons and rock formations, the Echo Canyon Loop shows off the highlights of the wilderness scenery in Chiricahua National Monument. This route consists of the Echo Canyon, Hailstone, and Ed Riggs Trails. The route winds through spectacular hoodoo rock formations including the Grottoes and Wallstreet to the densely wooded Echo Park. At the start of the Hailstone Trail, hikers find themselves just above a streambed. The trail follows the wash on the sunny southern exposure of the hillside, home to desert plants such as yucca, agave, prickly pear, and hedgehog cactus. Looking down the canyon will give a view of the seemingly endless stone spires that lead toward the visitor's center and the meadows at the park's entrance and beyond. The Ed Riggs Trail climbs back up through a few more pinnacles and takes hikers back to the trailhead among the pines. LEARN MORE about this amazing trail. Oracle State Park is a 4,000 acre wildlife refuge in the northern foothills of the Santa Catalina Mountains. The park is a designated International Dark Sky Park and also serves as a Center for Environmental Education. Interactive programs for school groups are conducted along trails, so students can learn about habitat and the interrelationships between plants, animals, and people. The Oracle State Park Trail System is comprised of over one dozen separate trails varying in length and difficulty. 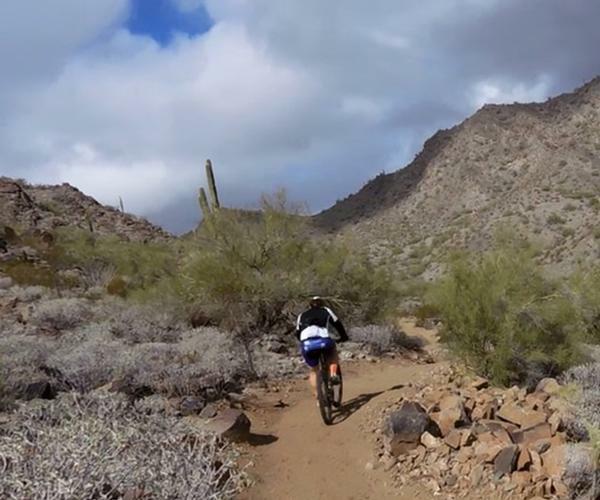 The park offers over 30 miles of trails for use by hikers, mountain bikers, and equestrians, including a six mile loop which utilizes a portion of the Arizona Trail. The system offers users great flexibility when choosing routes, accommodating short morning walks to long day hikes. The park has abundant wildlife, interesting geologic formations, and diverse plant communities. Ranging from 3,700 to 4,600 feet in elevation, the landscape is dominated by rolling hills and panoramic vistas as it transitions from desert grassland to oak-woodland. Location: 16 miles southeast of Lake Havasu City, Ariz. The five trail system at Cattail Cove State Park winds its way through an incredibly arid landscape on the edge of the Sonoran and Mojave Deserts, but any hiker on the trail will be acutely aware of the rather watery exception to the dry confines of the park: the Colorado River. 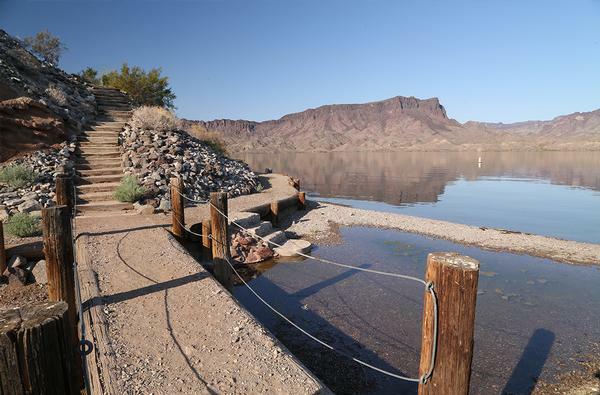 The McKinney Loop Trail begins near the park beach and follows the Lake Havasu shoreline, providing an excellent view of the lower portion of the Colorado River, the Whitsett Pumping Station, and Parker Dam. The shoreline portion of the trail ends at Whytes Retreat, one of the boat-in campsites provided by the Bureau of Land Management. The McKinney Loop portion of the trail returns through low desert hills and a shallow gorge with bluffs on both sides, while Whyte’s Retreat Trail continues along Arizona’s “West Coast”. To reach the trail follow the entrance road to the boat launch ramp where the trail begins on the south side. Wayne's Way Trail and Ripley's Run Trail meander away from the lake through a series of washes and canyons, connected by Ted’s Trail. Interpretative signage along portions of the trail provide hikers with the history of the lake and dam. 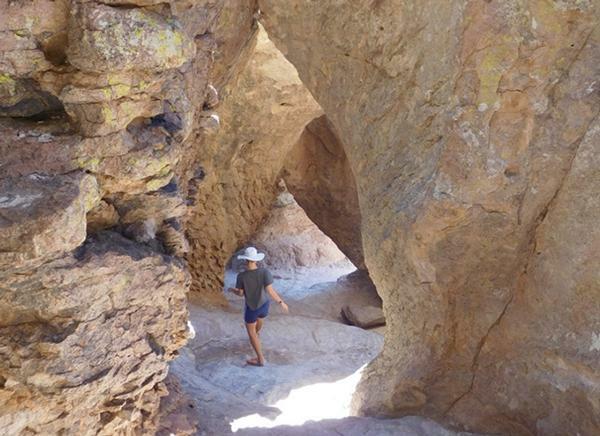 At the end of a rewarding hiker, trail users can relax at the beach, go for a swim, or set sail from the boat ramp at the western of the two trailheads to the Cattail Cave Trail System. Sitting at the base of the majestic Santa Catalina Mountains, Catalina State Park is a haven for many desert plants and wildlife. More than 150 species of birds and 5,000 saguaros call the park home. 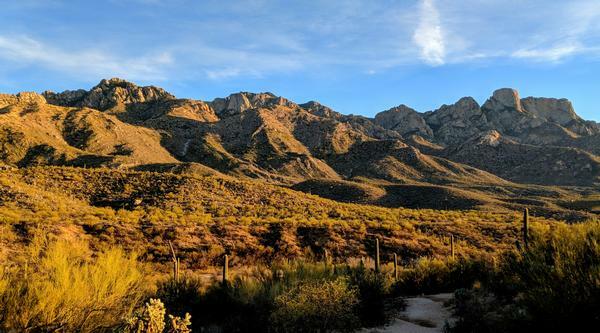 With over 5,500 acres of land spanning across foothills, canyons and streams, Catalina State Park has long been a popular destination for hikers, mountain bikers, equestrians, and birders alike. The Catalina State Park Trail System is composed of eight separate trails varying in length and difficulty. 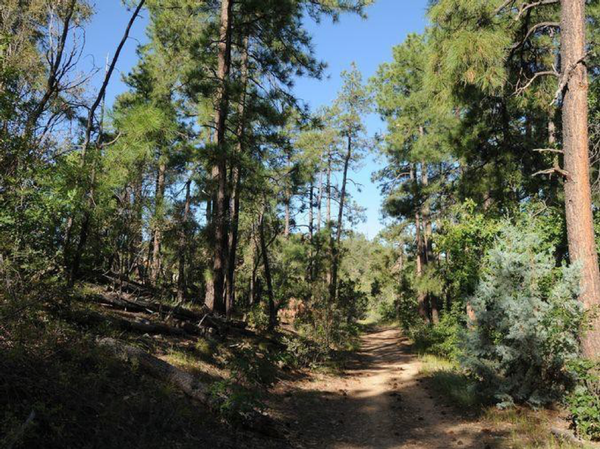 The park provides more than 33 miles of hiking, biking, and equestrian trails which wind through the park and into the Coronado National Forest. This scenic desert park also offers an equestrian center providing plenty of trailer parking for equestrian users. The Romero Ruins Interpretive Trail is a 0.75 mile loop exploring the remains of a Hohokam village dating back 1500 years. The Nature Trail meanders for one mile through the low foothills showcasing typical desert scrub vegetation. Interpretative signs can be found throughout the entire length of the trail describing the local fauna, flora, climate, and geology. The Birding Trail, a 1-mile loop easing its way through desert scrub, mesquite bosque, and riparian vegetation features interpretative signs highlighting the relationships between certain bird species and their preferred habitat. The Bridle Trail is a 1.4 mile one-way trail connecting the Equestrian Center with the main Trailhead parking area. The Canyon Loop Trail creates a 2.3 mile link connecting the Romero Canyon Trail and Sutherland Trail. The Sutherland Trail is a scenic, but rugged 9.1 mile one-way trail that weaves through the park and continues into the Coronado National Forest, Desert Bighorn Sheep Management Area, and Pusch Ridge Wilderness Area. The primitive trail outside the park climbs through Cargodera Canyon ending at the Mount Lemmon Trail at 8,600 feet. The 50-Year Trail is especially popular with equestrians and mountain bikers, and is 8.6 miles one way. After leaving the park and continuing on an easement, the trail continues on for 6 miles through the open desert. The Romero Canyon Trail leads to the Montrose and Romero Pools, a rare spot with perennial catchments along a seasonally flowing stream. The first mile to Montrose Pools is relatively flat but as the trail progresses into the Pusch Ridge Wilderness, the trail becomes far more steep and challenging with high steps and waterbars. Combined with the Mount Lemmon Trail #5, the trail takes 7.2 miles to meet up with the Sutherland Trail. 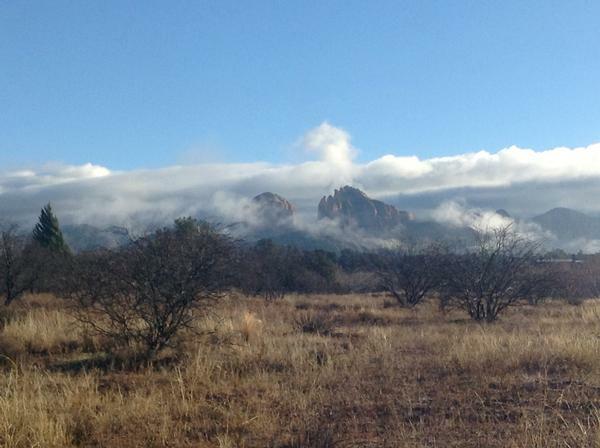 No matter your interests, age, or skill level, the Catalina State Park Trail System has a trail for you. Whether it's trying to spot one of the 150 different bird species in the park along the Birding Trail, venturing deep into the Coronado National Forest along the Sutherland Trail, or cooling off by the Montrose and Romero Pools along the Romero Canyon Trail, you're bound to discover a whole new sense of wonderment and appreciation for the Santa Catalina Mountains. The Prescott Circle Trail is a non-motorized trail system that looks like a 54-mile wagon wheel around the city with a myriad of recreational opportunities. 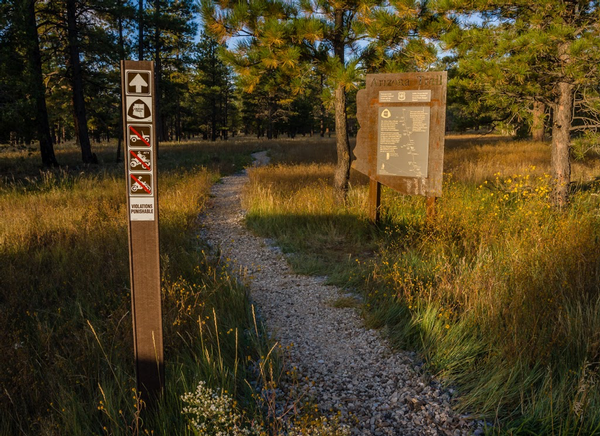 The route is a master work in trail design with multiple access points and connectivity to city and county parks, lakeside recreation areas, campgrounds, and wooded paths in Prescott National Forest. This super network layout makes it simple to explore parts of the 54-mile circuit at a leisurely day-hike pace, or a more ambitious multi-day backpack trip. The trail takes you through Ponderosa Pine forests to scrub oaks and through grasslands to the Rocky Granite Dells with views of Watson Lake and the Riparian Preserve. Sections of the trail are flat and great for beginners with no section more difficult than an intermediate hiker or biker can handle. 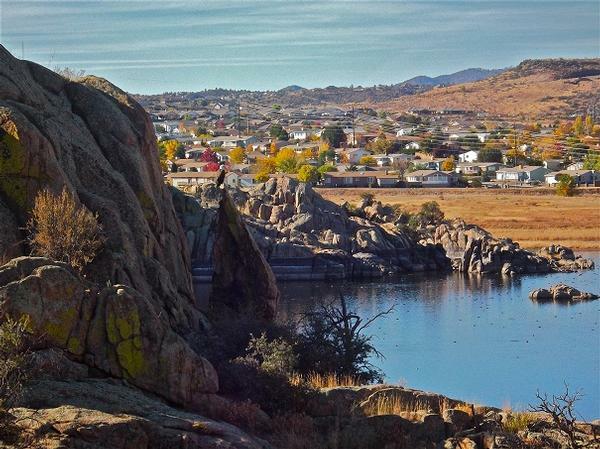 The trail passes many Prescott landmarks, including Watson, Willow, and Goldwater Lakes, Thumb Butte, and Pioneer Park. There are also three campgrounds along the trail, enabling campers and backpackers to easily explore the area. The Badger Mountain Trail allows all non-motorized trail users a chance to get close to the Prescott "P" on the hillside east of the city, with an optional spur to the letter itself. Winding around Badger Mountain from the low end under Highway 69 to the high terminus of the trail at the junction with the Ranch Trail #62, the trail provides unobstructed views of Thumb Butte, Granite Mountain, Bill Williams Mountain, the San Francisco Peaks, Willow Lake, Watson Lake, and downtown Prescott. While the community's distinctive promontories steal the show, trail users can also spot the Arizona Pioneer Home, Old Armory building on Gurley Street, and the lights of downtown Prescott at dusk. In mid-September wildflowers crowd the sides of the trail, infusing the otherwise earth-toned chaparral with mustard yellow, pale violets, and creamy whites of blooming cliff rose. 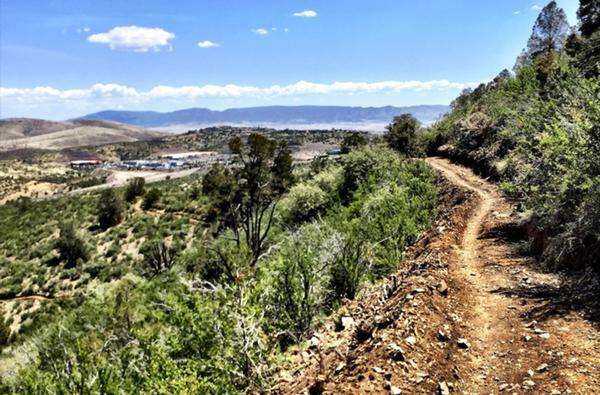 The trail is a favorite of the local mountain biking community who use it as part of the Prescott Circle Trail, a loop that encircles the entire city of Prescott. Location: 50 miles south of Tucson near Benson, Ariz. The man-made concrete trails within Kartchner Caverns are located inside a hill of Escabrosa limestone formed nearly 300 million years ago! 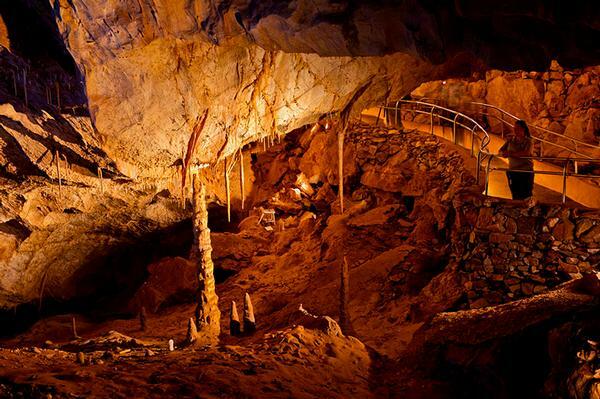 Kartchner's trails meander through thousands of spectacular speleothems,stalagmites and stalactites; many still growing after 50 thousand years or longer! Adding to the mystyque of the caverns, draperies that resemble bacon and formations similar in appearance to a melted strawberry sundae are all within view from the trail. A paved one mile trail system traverses Kartchner's three main rooms to complete the circuit. Well trained, very informative park rangers and volunteers lead visitors through the underground labyrinth while educating them of area geology, biology, and hydrology. Throughout the tour, the story of the two young men that discovered the caverns is discussed in detail, this always creates quite a conversation amongst the group. USA Today Reader's Choice has designated Kartchner Caverns the "Best Cave in the U.S." and the "Best Arizona Attraction," and most visitors of the park wholeheartedly agree with the sentiment, soon planning their next visit. The wheelchair accessible trails ensure that persons of all abilities have the option to discover the depths of Kartchner's beauty. 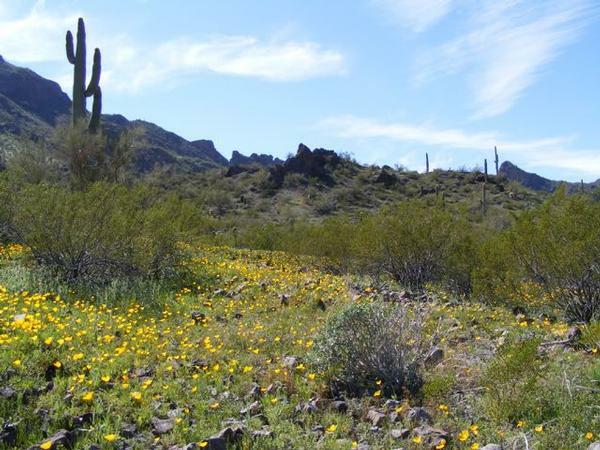 While Sonoran Desert beau ty is generally accepted among outdoor enthusiasts, the areas in which to enjoy it best are often a well-kept secret. Wild Burro Trail is considered the "gateway" to an extensive twenty nine mile trail network within the Tortolita Mountains. Meandering through a desert canyon that eventually gives way to one steep ascent, Wild Burro supplies amazing views, historical site exposure, and the opportunity to be in the vicintity of unique flora and fauna that call the Sonoran Desert home. The hiking surface of this nationally designated trail blends very naturally with surroundings along its nearly six-mile duration. Adding to the user friendly nature of Wild Burro Trail are intreprative and directional signs that ensure a safe and educational experience while enjoying the area. Location: Tonto Natural Bridge State Park, north of Payson, Ariz.
Pine Creek Trail is an i ntegral piece of a larger trail system within Tonto Natural Bridge State Park. This relatively short stretch of trail traverses the canyon bottom, adjacent to Pine Creek, en route to what is believed to be the the largest natural travertine bridge in the world. Geological processes have formed this unique wonder over the last several million years, and currently continue to do so. There are essentially four viewpoints from which to observe the bridge while decending toward the canyon bottom where Pine Creek Trail is situated. The views from the canyon bottom, however, offer visitors a chance to experience the immense size of this geologic wonder from below, which is truly awe inspiring! In addition to the sheer amazement of bridge proportions, visitors are greeted with a beautiful broad color display along the trail. Varying hues of green are apparent along the edges of this heavily vegitated trail, while canyon walls and accompanying rock formations, splash the visual palate with orange, red, and brown. The blues of both sky and creek complete this visually diverse trail experience. Location: White Tank Mountains, Buckeye, Ariz. This trail system encompasses over 16 miles of trails in an interconnected network within the 8,700 acre preserve. The trail structure is designed to blend into the Sonoran Desert environment while leaving as little of impact as possible. Thanks to the trail design and general size of this park, users will often feel as if they are in a peaceful, remote wilderness setting, instead of within close proximity to west Phoenix. 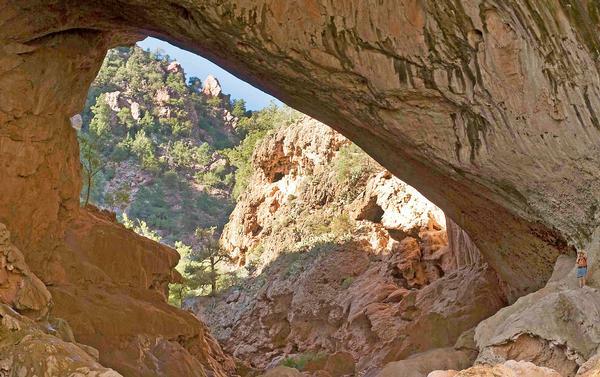 Unique rock formations, wide wash crossings, beautifully framed vistas, and a picturesque pedestrian bridge that spans Mountain Wash all provide visitors with a great experience. Native Sonoran Desert flora and fauna abound throughout the preserve offering users a natural perspective of their existence. Skyline Regional Park is free, and the city of Buckeye will build a three-quarter mile ADA accessible trail starting in 2017 to accommodate those with limited mobility. Location: Granite Mountain Hotshots Memorial State Park, Yarnell, Ariz. Granite Mountain Hotshots Memor ial State Park was dedicated as a memorial to the 19 Granite Mountain Hotshosts who perished in 2013 while battling the Yarnell Hill Fire. These two trails complete the seven-mile network within the park and offer very unique experiences for those that venture to the park and pay tribute to the brave men honored there. The Hotshots Trail is an interpretive one-way adventure that is sure to evoke emotion. As hikers make their ways through the Weaver Mountains while admiring the beauty that surrounds them, they will encounter 200+ stairs carved from the surrounding rock, interpretive signs, benches, and 19 memorial plaques. 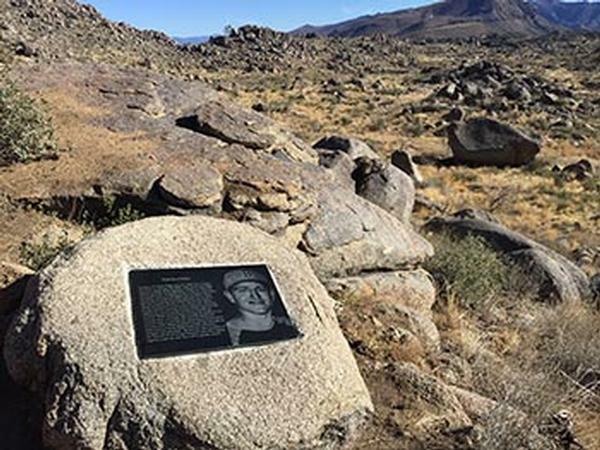 The plaques are set into rocks and share a photo and a story of each fallen Hotshot. Four interpretive signs paired with memorial benches provide information about the dangers and benefits of wildland firefighting. The Journey Trail allows you to follow the last steps of the Hotshots down to where they made their last stand. Encircling the fatality site, 19 gabion baskets, one for each Hotshot, are united by chains representing their eternal team. A short path surrounds the gabions and the nearby memorial flagpole. Although many visitors choose to walk the trail on their own, seasonal park rangers are available at the trailhead and will lead walks along the trail if requested. This large, robust trail system contains over 85 miles of interconnected trail systems designed for outdoor enthusiasts of all skill levels and preferances. Beginner through expert level trails can be found here and most can be enjoyed throughout the year. Hiking, biking, and equestrian use is best prior to the first big snowfall. After snow begins to accumulate, cross-country skiing and snow-shoeing have become very popular here. The entire trail system is located on U. S. Forest Service land, within the Apache-Sitgreaves National Forest. The chance of seeing area wildlife is likely, including elk, birds, chipmunks, squirrels, deer and antelope throughout many of the areas in this trail system. Because of the remoteness of some trails in the system, all trails have an emergency marker system with coded white diamonds every quarter mile. Each of the markers is referenced by GPS coordinates that are available to emergency responders in the area. All trails are well maintained by TRACKS Club volunteers. The volunteers of the TRACKS Club are recognized throughout the state for their great work and innovative approach to trail maintenance. This trail is so close to town, yet seems so far away! The Willow Lake Loop Trail is a nearly six-mile adventure that can create a feeling of solitude for users as they become absorbed in the seemingly remote area beauty. This multi-use, non-motorized trail consists of great sweeping views, technical rock hopping, and steep steps while providing a level of challenge for users. Birds and wildlife abound within the Willow Lake area while offering trail users a unique look into the lives of these species as they coexist with humans so close to town. Ducks and other birds thrive here, making this trail a favorite among bird watchers as they search for rare and beautiful specimens to view and photograph. Anglers arrive at Willow Lake expecting a chance at one of the trophy largemouth bass that live within the depths and use the trail to reach rarely fished areas. The diversity of this area makes it a popular destination for outdoor enthusiasts of all levels and interests. Location: Picacho Peak State Park, Eloy, Ariz.
Picacho Peak's centralized location makes visiting the park easy for either Phoenix or Tucson-based residents. If challenge is on your agenda, the Sunset Vista Trail will grant your wish! The trail starts out moderately for the first couple miles until the route becomes steep, twisted, and difficult to navigate. Gloves are recommended for the final leg of your trip as steel cables anchored to rock must be used to aid hikers in reaching the summit. Once hikers have reached the top, their reward lies within simply breathtaking views and a sense of accomplishment. Because of the physical demands associated with the navigation of this trail, please use caution before attempting your ascent to the summit. Trail users should also take into consideration the unpredictable area weather patterns before taking their trip. Plenty of water and sturdy hiking shoes are highly recommended as well. Location: Red Rock State Park, Sedona, Ariz.
Well revered by bikers, hik ers, and outdoor enthusiasts in general, the Red Rock State Park trail system and its multi-use capabilities are world-class in nature. Green meadows framed by luscious vegetation, riparian zones full of life, and the famous red rocks of Sedona surround the park. The ecological diversity within this five mile interconnecting trail network is astounding and must be experienced to fully appreciate the 286 acre preserve. Located within Coconino National Forest, the trail system provides direct access to a large network of USFS trails. The relatively close vicinity to other state parks, including Slide Rock State Park and Dead Horse Ranch State Park, gives users options when visiting this beautifully diverse region of Arizona. By the way…The Lime Kiln Trail connecting Dead Horse Ranch State Park and Red Rock State Park won the 2012 Critic’s Choice Award for Best Bike Ride! Need a place to rest after a long hike? Park trails provide access to a number of ramadas, picnic areas (some include electric), water, and barbecue grills. This system offers varying types of trail utilization and difficulty ratings for all types of users.